ICE is a general contractor storm damage expert insurance claims specialist roof siding gutters repair and replacement fire and water restoration servicing the entire state with 24 hr emergency services. 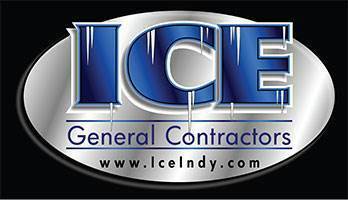 ICE General Contractors started in 1989 with one goal in CYMERA_20160331_114259mind, to provide customers with a knowledgeable staff, the best equipment, excellent quality and caring customer service. Since 1989 our mission at IGC has been to provide the highest quality restoration service with a personal touch. Where you are treated like family. Professional Damage and Renovation Services in Foley, Alabama. ICE General Contractors has been helping the people with damage and restoration services since 1989. Our aim is to help our clients best meet their restoration needs by providing the best equipment, knowledgeable staff, and caring, attentive customer service. Our range of services include water damage restoration, fire restoration, hail damage restoration, smoke damage restoration and roofing renovation. We have extremely skilled workers on our team who have the caliber and the ability to handle any kind of damage. Immediate Response & Attentive Teamwork. When you have suffered severe property damage things may seem bleak, but by acting quickly you can minimize the damage. By offering immediate response times through our 24 hours a day, 7 days a week service, you can be assured of timely service for your emergency. Our attentive team will ensure your valuables are protected from further damage while restoring your property to its previous condition. With our assistance, you can receive immediate responsive attention from a committed team of professionals. Whether you need a simple board up service, or fire damage restoration, we offer service with a smile. We treat our clients like family while providing the highest caliber of restoration services with a personal touch. Foley, Alabama’s Premier Roofing and General Contracting Company.